If all your recorded lectures are no more than PowerPoints with audio, a flipped classroom is no more thrilling or engaging for students than just attending class in person. So why not add some interactivity to your videos and have some fun? According to Phylise Banner, director of online teaching and learning at Clarkson University, your students will thank you. Banner and her colleague Frank Tomsic, director of the McCormick Educational Technology Center at Rush University Medical Center, are the original masterminds behind the "Technology Test Kitchen," a phenomenon introduced at an Online Learning Consortium (OLC) event that has since cropped up at multiple conferences where faculty, instructional technologists and instructional designers congregate. The idea: to provide an interactive space "where people can come and play with the [technologies] we're talking about." Every event features a different roster of experts sharing their favorite tools and showing others how to use them. Last year, OLC "master chefs" published an ever-changing Creative Commons-licensed "recipe book" with brief descriptions of almost three dozen tools and applications for use in the lecture hall to "foster creativity in learning." Banner shared seven of her favorite tools with Campus Technology, specifically for making video content more interactive — and the Test Kitchen recipe book offers three more. It used to be that students watched videos and then headed to the learning management system to enter their comments in a discussion forum. Now, they can do both in one place. "Video does not have to be static anymore," said Banner. For example, Zaption lets an instructor add text, questions and images to existing online videos, allowing students to reflect on what they're watching. 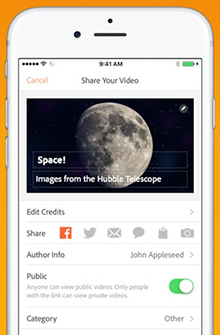 Students can also add comments, thereby "building more content around a video." Those extras allow the teacher to act as a bridge between what's being shown in the video and what he or she is hoping the student takes away from the viewing experience. Likewise, the instructor can give an assignment to students to make a video and create a lesson around it as an assessment format. On top of that, Banner added, the online program "has good analytics" that are "easy to use and valid." The instructor can see not only the students’ answers to questions, but also how many rewinds or fast-forwards there are and to which spots in the video. Viewer data like that can help the instructor know what parts of the video are boring, too complex or really get the conversation going. "If we're using any video content, we think that that's it. It's done. That's content consumption. But it isn't," she insisted. "Now we have content creation in the video space. That's what makes Zaption so great and so much fun." The basic version is free; an $89 annual subscription "pro" version allows the instructor to add multiple video clips to a unit, include more interactive elements such as discussions and integrate Zaption within the learning management system. Another option that Banner has used is Vialogues, an early entrant into the education space, which allows instructors to open up their videos for student commentary. The "vialogue" may be shared in a group or made private. Voicethread, a twist on Vialogues, allows users to upload and share any kind of files – documents, presentations, images, audio files and videos – and then let others comment through the appropriate medium – text, audio or webcam. Banner likes how Echo360 allows the instructor to integrate video into courses through an institution's learning management system. 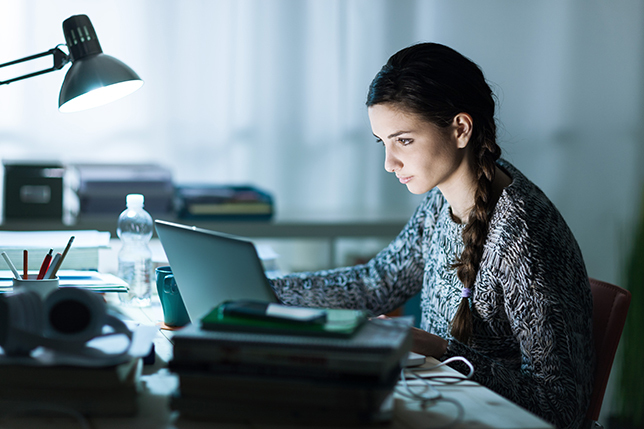 Originally gaining traction as a lecture capture application, the software has expanded "to allow you to create a whole channel right within your course," she noted. "You can have a video and a forum with discussion questions right there." 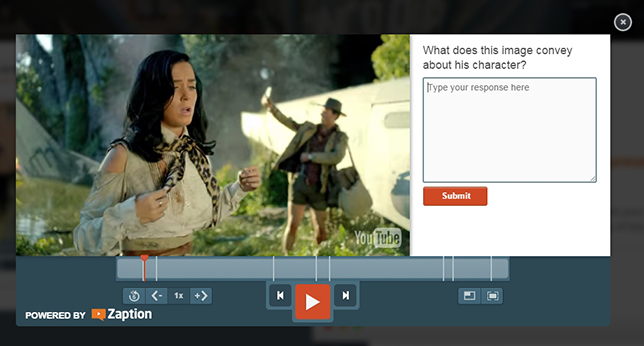 The teacher can pick specific spots within the video to open the discussion. The idea of the channel is to simplify student access to the videos. Like any playlist feature, she explained, it allows for a "consolidated space – whether closed or open." In the vein of simplifying access to video content, Banner emphasized the importance of providing not just video files in MP4 format, but also audio files in MP3 format. "We can't forget about that," she said. "I think that anytime we're feeding our students video, [we need to] give them audio too." That will enable them to listen to lectures while they're doing other activities, such as exercising or commuting. Veescope Live is a simple "green screen" app for iOS devices that allows the user to record video with switched backgrounds using any photo or movie on the device. (Green screen technology is what's used to place your local weather person in front of a dynamic map of your region while showing the forecast.) Combined with a green screen, blue screen or even plain white wall, the program "enables you to key out the background," explained Banner. "Let's say you're teaching disaster management and you want to put yourself at FEMA headquarters," she suggested. "You get a photo of FEMA headquarters. You put it on your iPad. You take your video. You key out the wall behind. Then you're standing there in FEMA's headquarters. I love Veescope." This free app for the iPhone and iPad helps the user create animated videos with no actual filming. You create your video by picking images from an extensive, searchable set or your own collection, add your presentation slides, then record your voice and let the app take it from there. Adobe Voice cleans up the quality of the audio and even adds background music. The program is integrated with the Noun Project, a fee-based library of icon images, which can be individually dragged into the presentation. Banner finds Adobe Voice useful for simple development of video. “Let's say you want to talk about what to do when a tornado is coming. You can press the icon button, search for 'tornado' and get these great images to bring in, simplifying visualization of your information as an instructor and creating a stunning visual," she explained. The app records your audio with the push of a button. If the audio for a given image goes past a certain amount of time, say 30 or 40 seconds, the app reminds you to keep it short. "You don't want to be rambling on," Banner added. Banner said she always shows up to the Test Kitchen with Google Cardboard, inexpensive virtual reality glasses that work with smartphones to provide immersive 3D environments. Although these technically don’t fall into the category of videos, they do provide a new way for students to experience visual content. At a recent event, for example, Banner shared images from Poland's historic salt mines. These have been photographed in panoramic form and made available on Round.me, an online service where photographers share their images. "Everything is carved out of salt. So you can show pictures of it, but [with pictures] you can't really feel what it's like to walk down the stairs and turn around and look up and see a chandelier or look around," said Banner. Using Google Cardboard, "when you're talking about spaces like that, you can have that immersive experience. You can even walk through that space. It's crazy!" Like to walk around while you're lecturing? Get yourself a Swivl robot, set it up on a desk or a tripod and place your recording device loaded with the Swivl Capture app into the robot's base. Attach an infrared marker to yourself and get moving. The robot will track your movements to keep the recording focused on you. If you're traveling farther afield than Swivl can keep track of, consider Periscope, an app that allows you to stream live experiences to your students. A private setting allows you to broadcast only to specific people, or you can share your broadcasts via Twitter through a tweet that directs your followers to a specified link. Ever seen an video showing a hand drawing an animation and writing out text on a whiteboard background? VideoScribe from Sparkol is one of the tools that can do the same for your presentations. This subscription service is $29 per month or $200 per year, though education licensing is available.